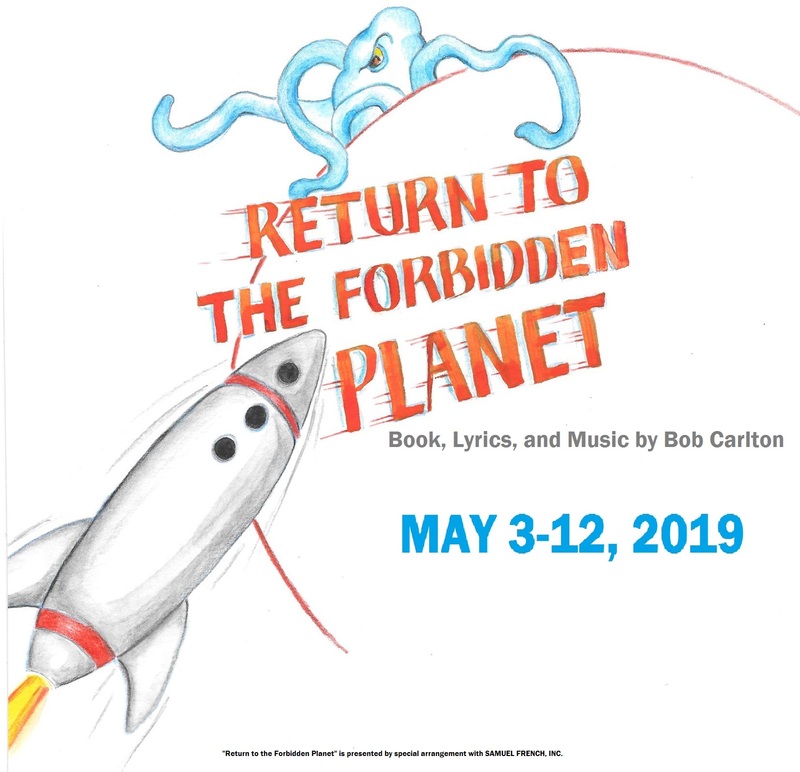 Inspired by Shakepeare's The Tempest, Return to the Forbidden Planet is a hilarious jukebox musical packed with rock 'n' roll classics such as Wipeout, Young Girl, Good Vibrations, and Gloria. Blast off on a routine flight and crash into the planet D'Illyria where a sci fi version of The Tempest set to rock and roll golden oldies unfolds with glee. The planet is inhabited by a sinister scientist, Dr. Prospero; his delightful daughter Miranda; Ariel, a faithful robot on roller skates; and an uncontrollable monster, the product of Prospero's Id, whose tentacles penetrate the space craft.